HOW DO YOU HANDLE USED OIL FILTERS? The storage and disposal of used oil filters can be a real challenge. 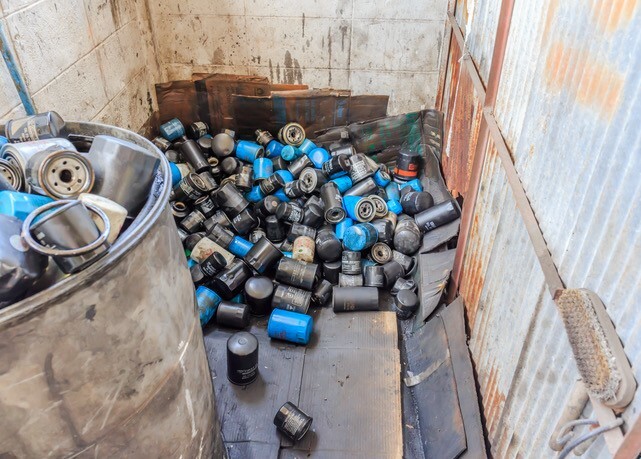 Many facilities still utilize unsightly 55-gallon drums that are prone to leakage and overflow while taking up valuable floor space. Plus, drums are clumsy and difficult to move around at the very least and can be unsafe at the very worst. 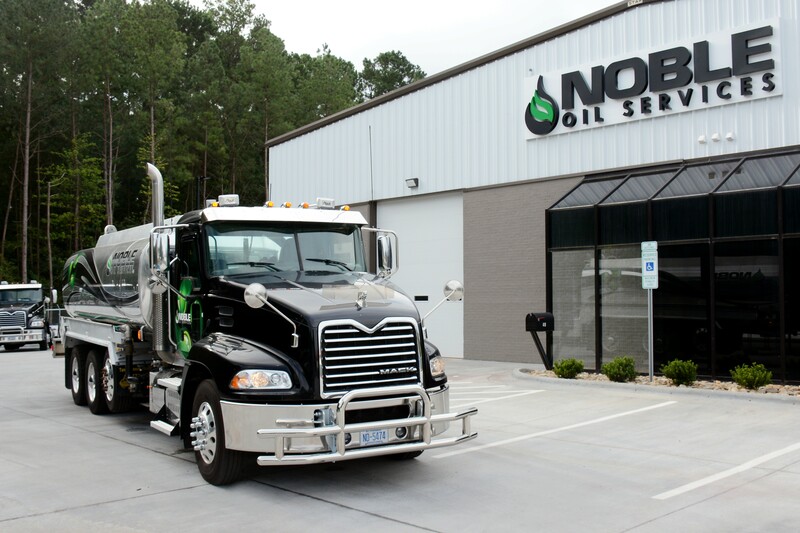 Noble Oil Services has a better solution. Depending on your needs, we can provide either a filter bin or a toter to dispose of your used oil filters. Both bins and toters are on wheels for easy maneuverability and handling. They are leak proof, cleaner, safer and LOOK MUCH BETTER. Our bins handle the same capacity as 6 drums and all for less money than an equivalent number of drums. We highly advise the use of our Noble Filter Bins. For those with less volume our Noble Oil Toters are an excellent solution. Give us a call today to get set up on an excellent filter recycling program with Noble Oil Services. Great for dealerships and high volume auto repair centers. Size: 32 in. x 25 in. x 42 in. Optimized for smaller auto repair shops and low volume customers. We supply Filter Bins and Toters for used oil filter storage. We have specially designed trucks to load and unload at your location. All filter bins and toters have large wheels for easy mobility. Cost Effective: Bulk collection reduces costs of transportation, handling, and processing--these cost savings are passed on to you! Comprehensive: We supply the storage bin, arrange for pick-up and ensure all oil filter components are recycled and properly disposed. 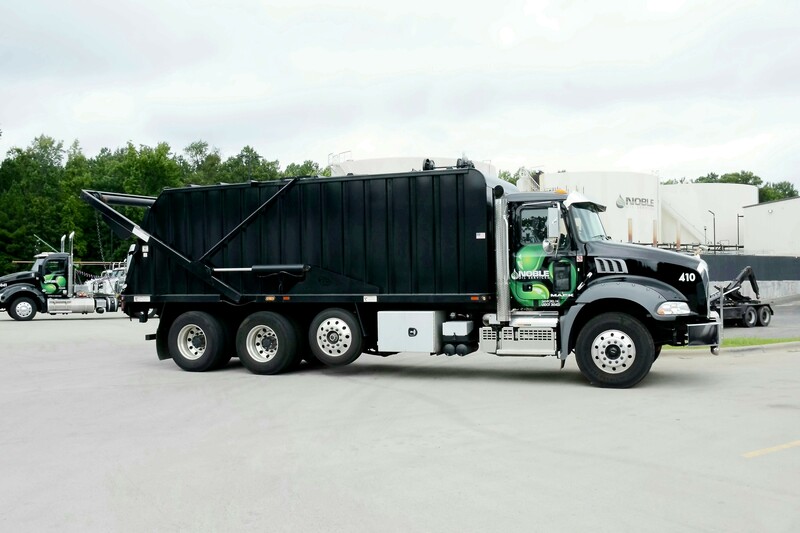 Timely: Collection vehicles are routed using our proprietary software that automatically schedules at 75% capacity. This eliminates the need to call for service and prevents overflowing. Clean: Specially designed, state of the art collection vehicles enhances filter collection and eliminates leaks and spills. Smart: Responsible means of disposing used oil filters, minimizing your disposal liability. Schedule a pick up today.